7AM-1.30PM Sat Sunday & Public Holiday. 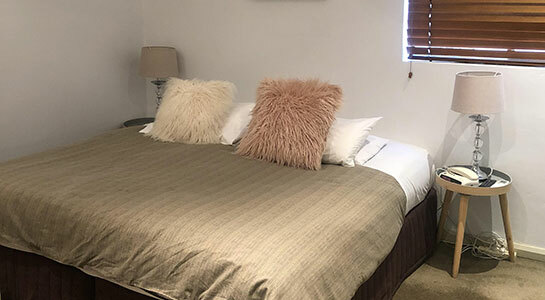 If arriving after 3pm weekdays 1pm weekends please email on hotel59@myoffice.net.au or call on cell phone 0419 202 655, instructions will be forwarded on how to access keys. Bed and Breakfast options available in our side-street café. Payment by Visa, Bankcard, Mastercard. Credit Card policy: Card details requested to confirm booking. Minimum booking of 2 nights,Cancellation policy is strictly adhered. The café situated on the ground floor, serves up food all day whether a light snack or a gourmet meal. 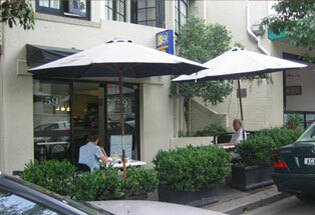 Hotel 59 welcomes you to Sydney with our delightful European style boutique bed and breakfast accommodation. 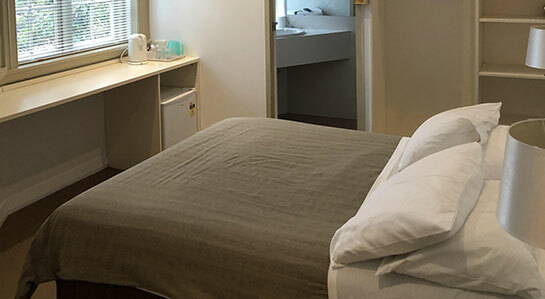 We are only Nine rooms small and offer personal care and attention, especially to visitors exploring our city for the first time. It feels like your home away from home. We are centrally located on a tree-lined street Bayswater Road is a short stroll to the harbour, park and yachts of Rushcutters Bay. Numerous famous restaurants are nearby. All the conveniences of our inner city locale are at your doorstep. Public transport, both bus and train, car rentals, and major banks are all within 200 metres of our hotel. Due to the heritage of the building we are unable to have a lift. Breakfast is served each morning and the café continues on to serve light healthy meals during the day. Rates For 1 Person. Maximum 1 Person. 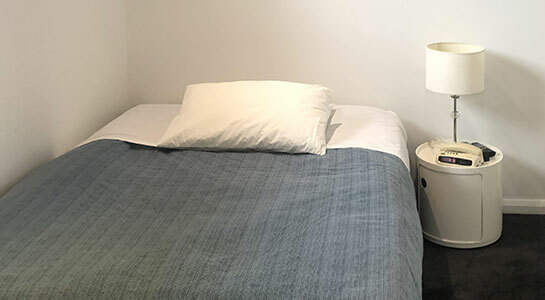 Perfect quiet room in great location for single traveller who wants to rest their head after a long day sightseeing. Minimum 3 nights. Quiet room offering great value for single traveller. Rates For 2 Person. Maximum 2 Person. Great value for couples looking for accommodation in a great central and convenient location. Rates For 2 Person. Maximum 3 Person.Extra Person Cost Applies. Larger room for longer stays. Complimentary cooked breakfast, FREE wifi. Accommodate 2 adults and 2 children. Advance bookings of more than 6 weeks, we require a 2 week notice before cancelling, otherwise a notice of 2 days prior. If not on both a 2 night charge will apply. BOOKINGS CANCELED OR SHORTENED ONCE YOU ARE HERE WILL BE CHARGED IN FULL. In certain periods such as Mardi Gras, Xmas/ New year we have a minimum booking of 14 nights, this is a fully prepaid non refundable booking. From Dec 20-Jan 11 rate does not include breakfast Café will be closed for this period. No Servicing of rooms for this period.